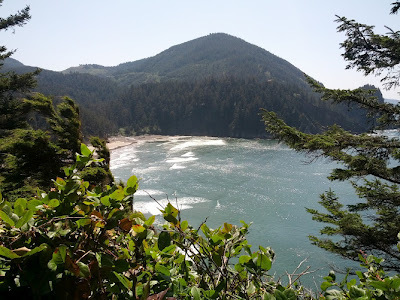 Last Saturday Adam and I were invited to a wedding in Manzanita on the Oregon coast and decided to make a weekend of it with our neighbors. 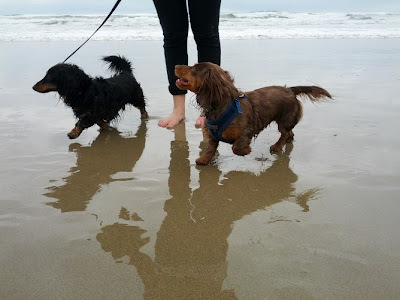 We rented a house just a couple blocks from the beach and from the pub that the reception was held and spent the weekend with our doggies, barbecuing, walking the coastline, hiking, and dancing! Trying to keep our weekend cheap we bought food, wine, beer and of course tequila in honor of Cinco de Mayo at Trader Joe's before heading out of Portland, but the night of the wedding we decided to check out the wine bar before Adam and I went to the reception at the local pub. 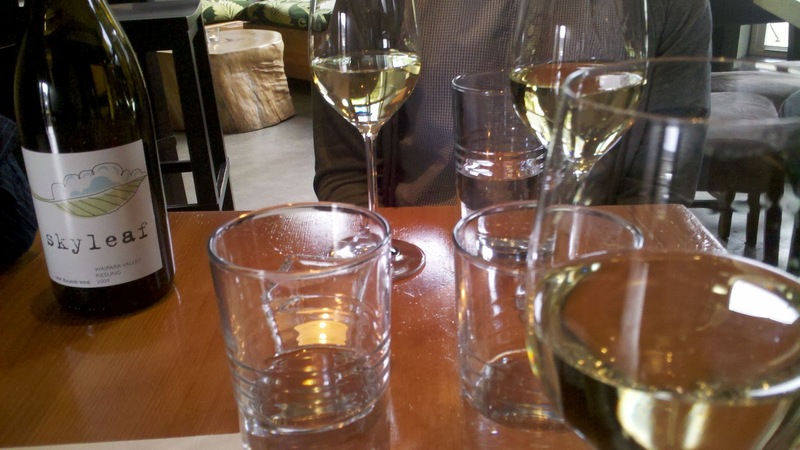 Adam, Charles, Rick and I headed to Vino just as they opened at 5pm. This small, charming and intimate space had great artwork hanging on the wall and a really welcoming and relaxing vibe. 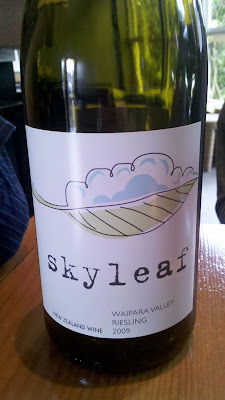 We decided to order a bottle of a featured house white wine, Skyleaf ($22) a New Zealand riesling. I typically don't opt for riesling since it's a sweeter white, but this was just sweet enough and the perfect wine to sip on as the sun came out on the coast. Adam and I had to head out fairly quickly for the party, but Rick and Charles ordered a Pheasant Pate ($8) and a Purple Haze ($8) which was a goat cheese special. We didn't get to try their snacks, but they said they were great. The rest of their menu looked awesome as well so I would definitely recommend stopping by during your visit. Adam and I got to the San Dune Pub and didn't know anyone since the bride and groom and our two other high school friends hadn't arrived yet, so we headed to the bar and looked over the menu. I started with a sangria while Adam got a beer. Once we settled in we ordered Oyster Shooters and Shrimp Tacos. The oyster shooters were a little big for me. I've recently decided I like oysters, but I prefer the delicate, tiny oysters and these were definitely not that! Good thing we made new friends that were happy to help Adam out. The shrimp tacos were really good, but the people next to us had the fish tacos which looked better! I also spied some tasty looking burgers and fish and chips at other tables. As the only pub on the main street you're choices are limited, but with nice service, great food, and generously poured gin and tonics you will be a happy camper. 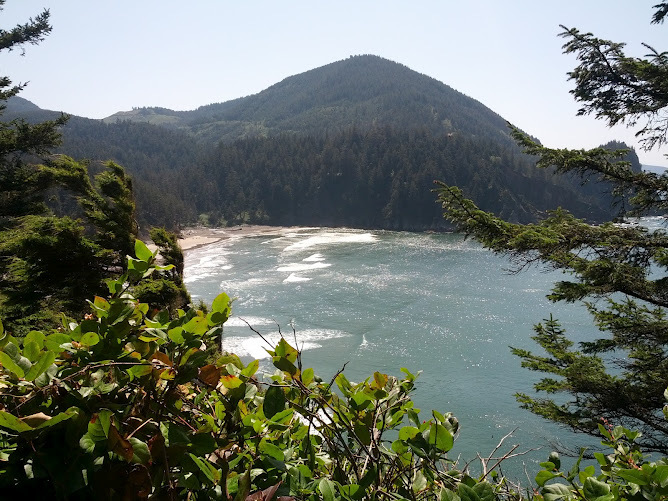 Stop in to the San Dune Pub at the end of your day at the beach or before watching a beautiful sunset, you won't be disappointed!